Tonight's WWE SmackDown and WWE 205 Live episodes will take place from the Intrust Bank Arena in Wichita, Kansas with the final hype for Sunday's WWE Royal Rumble pay-per-view. 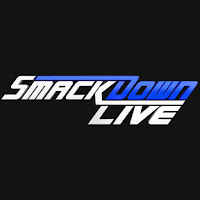 Tonight's SmackDown will feature a loaded line-up - The Miz vs. SmackDown Tag Team Champion Cesaro, Mandy Rose vs. Naomi, Rey Mysterio vs. Andrade in a 2 of 3 Falls match and a face-to-face between AJ Styles and WWE Champion Daniel Bryan, moderated by Vince McMahon. 205 Live will feature Kalisto vs. Akira Tozawa vs. Hideo Itami, just days before they face WWE Cruiserweight Champion Buddy Murphy in a Fatal 4 Way at the Rumble.